Washington & Jefferson (W&J) hockey began in 1998 when a group of W&J students they organized a team and joined the Western Pennsylvania Collegiate Hockey Association (WPCHA, now College Hockey East/CHE), which competed in the American Collegiate Hockey Association (ACHA) Division 3. 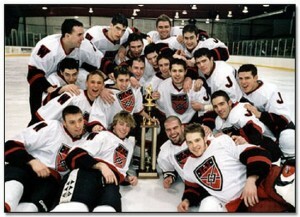 After winning the 2000-2001 WPCHA title with an undefeated league record, the W&J Presidents joined the Eastern Collegiate Hockey League (ECHL) as they jumped up to the ACHA Division 1 level. 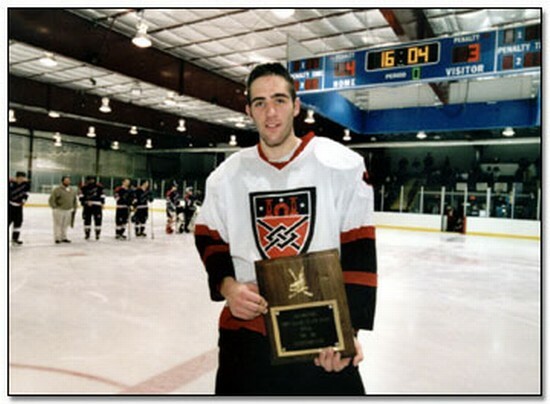 The Presidents eventually joined the Collegiate Hockey Mid-America (CHMA) conference in the ACHA Division 1 and won the CHMA Regular Season Championship in 2006-2007 and CHMA Tournament Championship in 2007-2008. In 2014 the Presidents returned to College Hockey East and play primarily against western Pennsylvania area colleges with rich hockey traditions that include West Virginia University, California University of Pennsylvania, Carnegie Mellon University and Gannon University.